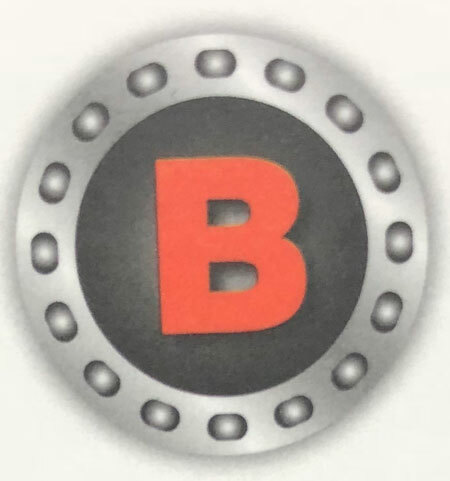 Baker Coupling Projects - Baker Coupling Co.
Project: Belmont Filter Plant, 1966. Philadelphia, Pa.
Owners: City of Philadelphia. Engineers: Morris Knowles, Inc. Pipe size on this major project ranged from 73.25” O.D. down to 37.25” O.D., with middle rings 1/2” x 10” of ASTM A36 steel. Also 37” O.D. steel Insulated Couplings. Project: Cow Creek Unit, 1966. Northern California. Owners: Bureau of Reclamation, U.S.D.I. Engineers: Same. Distribution project. Pipe sizes 55.88” O.D. (3/8” x 10” middle ring) down to 28.78” O.D., with many Insulating Couplings included for corrosion control. Project: Bishop Plant No. 4 Hydroelectric Project, 1966. California. Owners: Southern California Edison. Engineers: Same. 60” O.D. penstock with working pressure of 180 PSI. One of several Baker-coupled for this utility. With 1/2” x 10” middle ring, ASTM A26 steel. Project: Tuy No. 2, 1966. Venezuela. Owners: Instituto Nacional de Obras Sanitarias. Engineers: Same. A portion of one of the most notable pipelines in the world. 85” O.D. with 3/4” x 10” middle ring, for 298 PSI working pressure. Project: Cumana Water Treatment Plant, 1966. Venezuela. Owners: Instituto Nacional de Obras Sanitarias. Engineers: Same. 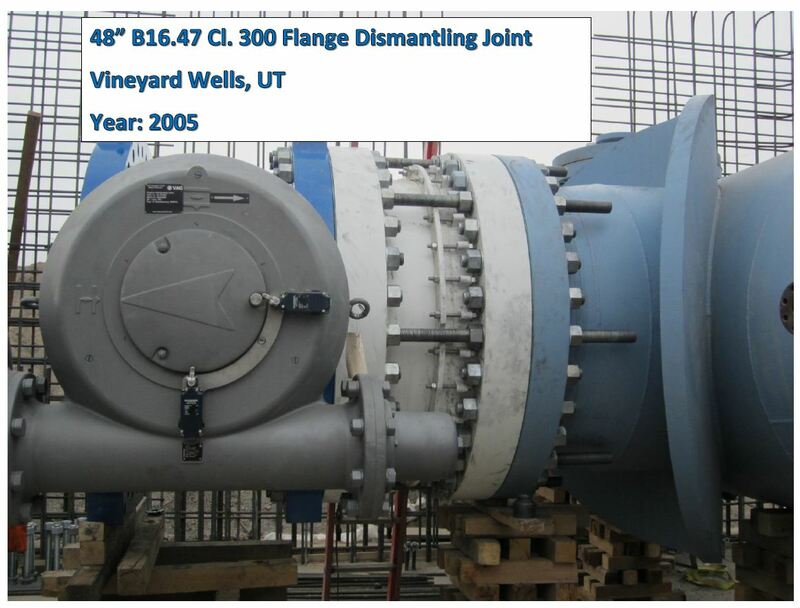 This treatment plant required a quantity of All Steel Couplings from 42.75” O.D. down to 32” O.D. and smaller. Project: Corning Canal Pumping Plant, 1966. Northern California. Owners: Bureau of Reclamation, U.S.D.I. Engineers: Same. 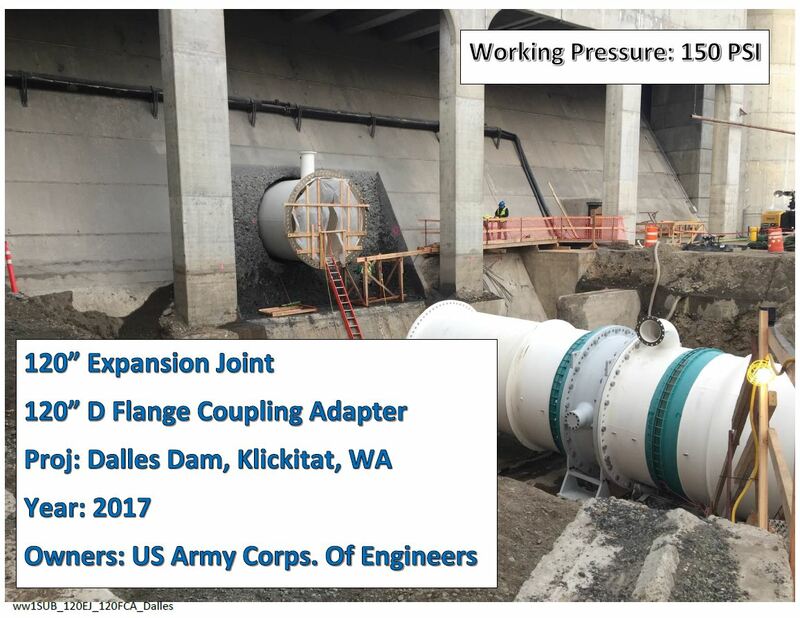 One of many Bureau of Reclamation projects using Baker couplings. 36” O.D., 1/4” x 7” middle ring, for 150 PSI working pressure. Project: Carbon Creek Pressure Control Station, 1967. Southern California. Owners: Metropolitan Water District. Engineers: Same. Steel Insulating Coupling for 86.36” O.D., with 3/4" x 18” middle ring of ASTM A36 steel. Also included 36.75” O.D. couplings, 3/8” x 10” middle ring. Project: Broken Bow Dam penstock, 1967. Okla.
Owners: U.S. Army Corps of Engineers. Engineers: Same. Couplings for 16.7 foot O.D. pipe, 135 PSI working pressure. Middle ring 1 3/8” x 18”, ASTM A285 C Firebox steel. Project: Tuy No. 2, Camatagua Project, 1967. Venezuela. Owners: Instituto Nacional de Obra Santarias. Engineers: Same. This noteworthy engineering project carries the water from Camatagua Dam to the outskirts of Caracas, traversing some rugged mountain terrain. Line was designed for all 85” O.D., with pressures ranging from 85 PSI up through 578 PSI working pressure. Because of the nature of the installation, surges may rise considerably over this. Middle rings ranges from 1/4" x 10” ASTM A36 to 1” x 10” ASTM A242 steel. Over 3,000 Baker All Steel Couplings are incorporated in the Tuy No. 2 project, constituting the largest order for couplings in the world. Featured in Engineering News-Record for February 1, 1968, as “Caracas Goes Over the Hill for 24-Hour Water,” because of world-wide interest. Project: Salina Pumped Storage Project, 1967. Vinita, Oklahoma. Owners: Grand River Dam Authority. Engineers: W.R. Holway & Assoc. Incorporates 12 penstocks, six of which are already built and coupled by Baker. First 3 penstocks built in 1967, second 3 in 1969. Incorporates 18 couplings for 14.3 foot O.D. (3/4” x 19” middle ring) and 6 couplings for 12.8 foot O.D. (7/8” x 19”), with pressures ranging up to 150 PSI. Steel was ASTM A516, Grade 60. Project: Oso Pumping Plant, 1968. Southern California. Owners: Department of Water Resources. Engineers: Same. This important pumping plant on the California Water Project included some sixteen special seismic type couplings, for 96” O.D. and 54” O.D., 200 PSI working pressure. No damage reported after the February, 1971, earthquake on these discharge lines. Also, included four 79.25” O.D. couplings on the valves, at 150 PSI. Removable pipe stops were also a design novelty on this project. Four 36.75” couplings used here. Project: Wheeler Ridge Pumping Plant, 1968. Southern California. Owners: Department of Water Resources, State of California. Engineers: Same. Part of the huge California Water Project. These are the discharge lines from the plant. Project used some 203 Baker couplings for 109” O.D. pipe, ranging from 98 PSI to 195 PSI, with middle rings up to 1/2" x 10” ASTM A242 steel. 3 deg. angular deflection was required, due to seismic conditions at the project. To relate the discharge lines to the pumphouse, Baker also furnished six special couplings for 79” O.D., and twelve for 109” O.D. with allowance for settlement, misalignment and extreme seismic activity. No damage was sustained to this huge pumping plant and its seven 109” O.D. discharge lines during the February, 1971, Southern California massive earthquake. Angular deflection of 3.18 degrees had been designed into the Baker Couplings on this project as engineering insurance against such possible catastrophe. Project: Wind Gap Pumping Plant, 1968. Southern California. Owners: Department of Water Resources, State of California. Engineers: Same. Another contract of the California Water Project. 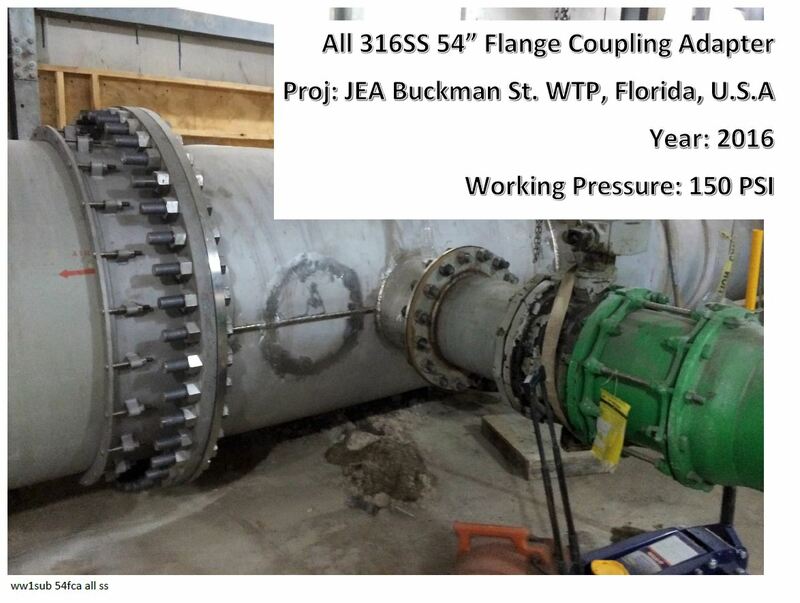 Couplings designed for 300 PSI working pressure and 3 degrees angular deflection. For 82.25” O.D., Baker provided 5/8” x 24” middle rings of ASTM A242 steel. For 109.50” O.D. the middle rings were 3/4" x 24”, ASTM A242. Seismic conditions also dictated this design. Project: Casa Loma Siphon, 1968. Southern California. Owners: Metropolitan Water District. Engineers: Same. In this portion of the Second Barrel, Baker furnished twelve 151.75” O.D. couplings, with 7/8” x 24” middle rings of ASTM A36 steel. Project: Sepulveda Feeder, 1968. Southern California. Owners: Metropolitan Water District. Engineers: Same. Insulating Couplings for 155.13” O.D. steel pipe make this project notable. These are the largest known insulating couplings. Middle ring 3/4" x 18”, ASTM A36 steel. Project: Monroe Street Grit Station, 1968. Omaha, Nebraska. Owners: City of Omaha. Engineers: Same. Employed some forty Baker Couplings from 48” O.D. (1/2” x 10” middle ring) down to 24” O.D., all for 150 PSI. Project: Second San Diego Aqueduct, 1968. Southern California. Owners: Metropolitan Water District. Engineers: Same. For corrosion control, Baker furnished Insulating couplings for 102.67” O.D. steel pipe. These had middle rings of 3/4" x 18” ASTM A36 steel, with rigorous tests for insulating quality of the joints. Some couplings for 62” O.D. also furnished on this project. Project: Tank Flow Lines, 1968. St. James, Louisiana. Owners: Steel Pipe Line Corp. Engineers: Same. These 48” O.D. All Steel Couplings included middle rings of 1/2" x 16” for 230 PSI working pressure. Baker Series 421 Harnesses were also included in these 16 couplings. Owners: Los Angeles Dept. of Water & Power. Engineers: Same. 79.13” O.D. pipe, 293 PSI working pressure. Middle rings were 9/16” x 10” ASTM A441 high-strength steel. Project: Pearblossom Pumping Plant, 1969. Southern California. Owners: Department of Water Resources. Engineers: Same. Part of California Water Project. Included 103” O.D. for 310 PSI working pressure (3/4” x 10” middle rings). 65” O.D. for 326 PSI (1/2” x 16”) and 46” O.D. (5/16” x 16”), all ASTM A242 high strength steel. Designed for seismic conditions. No damage sustained in February, 1971, earthquake. Project: Sepulveda Canyon Control Facility, 1970. Southern California. Owners: Metropolitan Water District. Engineers: Same. 98.13” O.D., with 9/16” x 10” middle rings of ASTM A283, Grade D steel. Project: Fisher Penstock, 1970. Tasmania, Australia. 62” 749 13 1 1/4"
Project: Karnafuli Hydro Project, 1970. East Pakistan. Owners: E. Pakistan Water and Power Authority. Engineers: Sverdrup and Parcel. Penstock 25.5 foot O.D., for 67 PSI working pressure. Middle ring 7/8” x 18”, of ASTM A285C Firebox steel. Owners: City of Detroit. Engineers: Hubbell Roth & Clark, Inc. Included 85” O.D. and 79” O.D. couplings, middle rings 1/2" x 10”, ASTM A36 steel. Project: Tehachapi Surge Tank, 1970. Southern California. Owners: Department of Water Resources. Engineers: Same. Penstocks of 23.6 foot O.D., for 60 PSI working pressure. Provide articulation of pipeline adjacent the huge surge tank, one of the largest structures on the California Water Project. Middle ring 3/4" x 17”, ASTM A285C, Firebox steel. Other couplings for 169.50” O.D. (210 PSI, 3/4" x 17” ASTM A242) and 61” O.D. (1/2” x 10” AISI C-1015). Project: Southern Nevada Water Project, Las Vegas, Laterals, 1970. Nevada. Owners: Bureau of Reclamation. Engineers: Same. From 76.50” O.D. down to 25.38” O.D. steel pipe, for 100 PSI working pressure. Middle rings of ASTM A242 in larger sizes, AISI C-1012 in smaller sizes. 2929 South Santa Fe Ave.